Join us around the state for Live, Love, Latch in August! ​and/or social media for support and information. ​Contact information may be found on the page of a location or area near you. Please see the Group pages for specific contact information for Leaders and Groups in Oklahoma near you. ​If you have questions about nursing before adoption or birth, or at any time after baby arrives, Leaders are here to help! FOR CANCELLATIONS DUE TO WEATHER OR ILLNESS. *Please note that LLL Leaders do not act as health care professionals while working as Leaders. 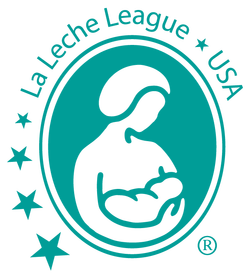 In order to see a provider who is able to provide comprehensive prenatal and postnatal lactation support and counseling for situations outside the normal course of breastfeeding and pursuant to the Affordable Care Act (ACA), families need to request a referral to an in-network IBCLC or coverage for out-of-network IBCLC services. Leaders: to make changes to your Group info, please contact Sandy using the subject line LLLOK Website. Thank you! Parents: the email addresses here are only for website changes. Please check individual Groups near you for help contacts.